Library of America, 9781598534542, 1100pp. Includes If Beale Street Could Talk, now a major motion picture directed by Barry Jenkins. The Library of America completes its edition of the collected fiction of the literary voice of the Civil Rights era with this volume gathering three revealing later works of the 1960s and ’70s. With such landmark novels as Go Tell It on the Mountain, Giovanni’s Room, and the essay collections Notes of a Native Son and The Fire Next Time, James Baldwin established himself as the indispensable voice of the Civil Rights era, a figure whose prophetic exploration of the racial and sexual fissures in American society raised the consciousness of American readers. But by the late 1960s and ’70s many regarded Baldwin as being out of sync with the political and social currents transforming America: too integrationist for Black Arts Movement writers and others on the Left, yet too “pessimistic” for many white readers, and as a result his later novels have never received the consideration given his earlier fiction. Sober in outlook but ambitious in scope, these works show Baldwin responding with his signature passion—for music, for justice, for life—and searching intelligence to the new realities of a rapidly changing cultural landscape, as the Movement era gives way to the age of identity politics that we still live in today. 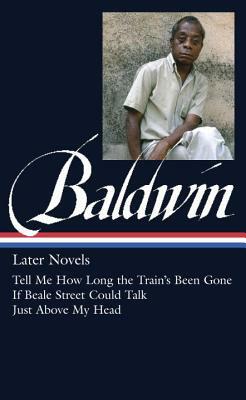 This culminating volume in the Library of America edition of his fiction illustrates how Baldwin continues to be relevant in twenty-first-century America, especially in his dramatizing of the unequal treatment of black men by the police and the justice system, his nuanced depictions of the black family, and his explorations of sexuality. Darryl Pinckney is the author of the novel High Cotton (1992) and the critical study Out There: Mavericks of Black Literature (2002). He is a frequent contributor to The New York Review of Books, among other publications.